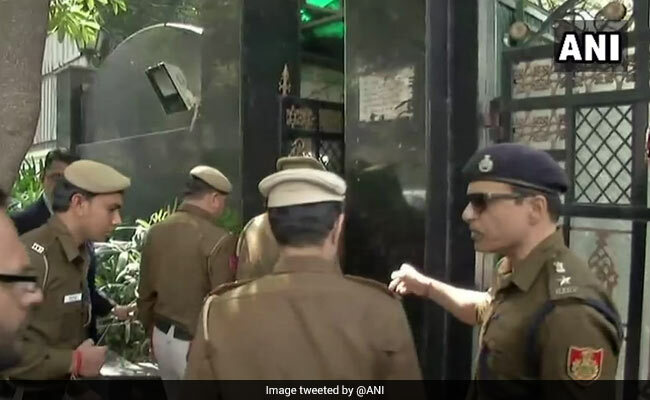 Delhi Chief Minister Arvind Kejriwal's home turned into a "scene of crime" today as a large number of policemen spent over two hours searching and questioning the staff and took away boxes full of hardware from CCTV cameras, in the unprecedented fallout of an alleged assault on the city's top bureaucrat earlier this week. Mr Kejriwal's Aam Aadmi Party (AAP) said the police visit was only to "humiliate and insult" the chief minister. "They asked when the house was painted. They went to the roof and searched the lawn. Why this baffling interest in paint?" AAP's Ashutosh fumed, showing reporters a clip of policemen inside the chief minister's home. "You expect such cops to tackle crime?" The police say they went to the chief minister's house after their request for CCTV footage was ignored. The footage, they say, will be examined for clues on what happened on Monday night at a meeting in which Chief Secretary Anshu Prakash was allegedly attacked by two lawmakers of the Aam Aadmi Party (AAP). "We have visited the scene of crime and seized the hard discs of 21 cameras. Only 14 are working and all of them are running 40-42 minutes late," said a police officer, adding that whether they had been tampered with would be examined by experts. There were no CCTVs in the room where the assault allegedly took place. Anshu Prakash has alleged that he was slapped and beaten by the lawmakers in Mr Kejriwal's presence after being called for a meeting at midnight. The chief secretary says he was attacked after being asked to explain why a three-year anniversary campaign of AAP was not being released. The MLAs, Prakash Jarwal and Amantullah Khan, have since been arrested. 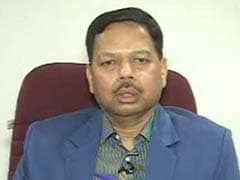 Around "60-70 policemen" searched the chief minister's home, Delhi government spokesperson Arunodya Prakash has claimed. "To investigate two slaps, the police search a Chief Minister's house. Doesn't Judge Loya's murder merit an interrogation?," Mr Kejriwal tweeted, referring to Judge BH Loya who died of a heart attack in December 2014 at a time he was handling the Sohrabuddin case in which BJP president Amit Shah was an accused. Speaking to reporters outside his house, the Chief Minister added: "The zeal that they have showed in searching my home, if they show the same courage to question Amit Shah in the Judge Loya case, then the country will admire them." To the embarrassment of the ruling party, the Chief Minister's key aide VK Jain reportedly told a court yesterday that he had seen AAP lawmakers assault Mr Prakash. Mr Jain, a retired bureaucrat, said he had gone to the washroom during the meeting and when he returned, he saw two lawmakers hitting the Chief Secretary. He even claimed that the chief minister and his deputy Manish Sisodia watched silently. The statement, recorded before a magistrate, will be admissible as court evidence. The chief secretary hadn't specified Mr Kejriwal and Mr Sisodia's role in his police complaint but implied that the two ministers were among those who had engineered the assault.